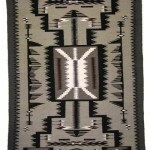 Two Grey Hills arose as a regional style center during the 1940’s. 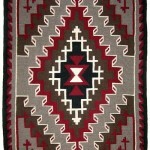 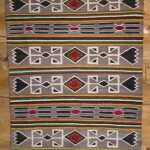 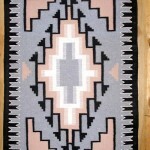 These Navajo Indian rugs are distinguished by the bordered central lozenge design, and use of primarily undyed wools in tan, gray, brown, white and deep black. 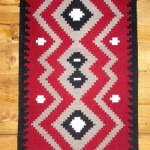 Borders are often double or sometimes multiple, and the central lozenge and corner stepped designs of these Navajo Indian weavings can be quite elaborate geometric patterns. 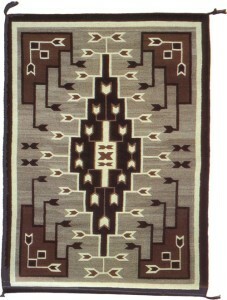 The central lozenge is the focal point of the design, and lesser geometric arrangements are balanced in corners and along borders.